Can’t believe we are just a month away from Christmas. 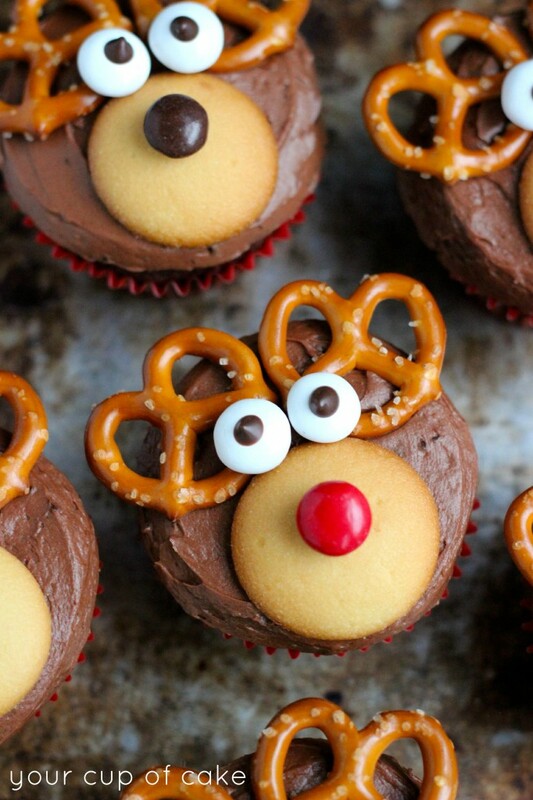 And being the sweetest season of the year, you need to prepare some sweet treats as well, especially for the kiddos. 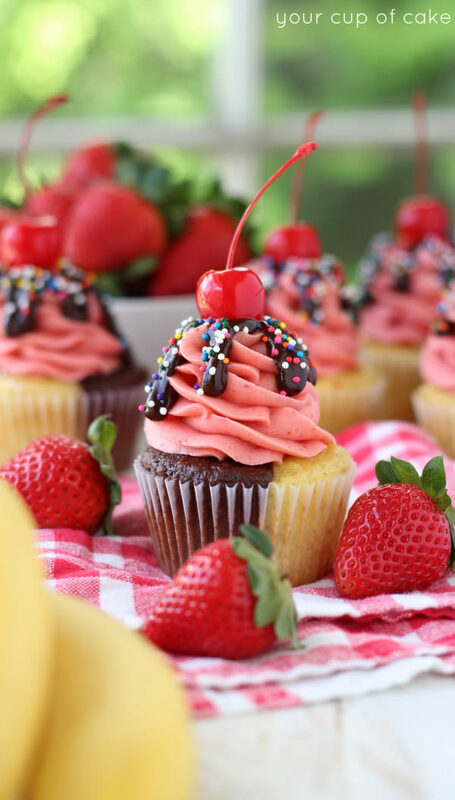 And when talking about desserts, what could be better than adorable cupcakes? 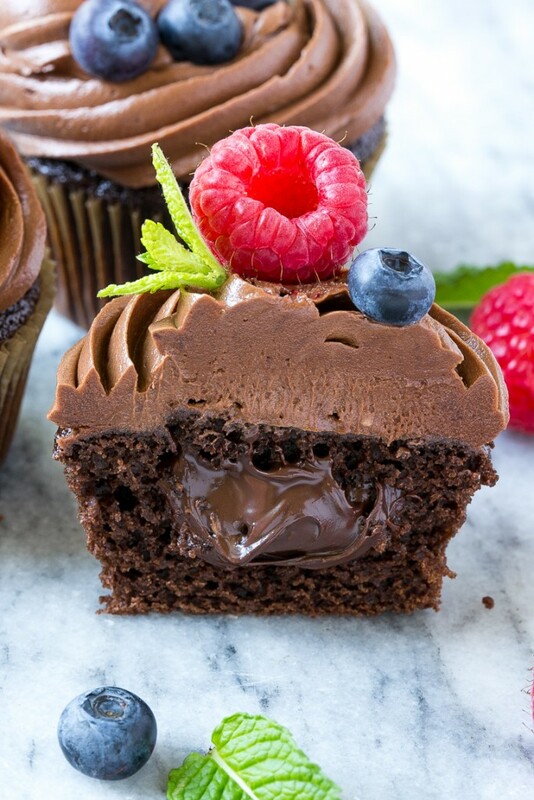 Nobody can resist a bite or two of cupcakes, and by no one, we mean the picky eaters as well. Let me ask you, have you even seen anyone refusing a cupcake? 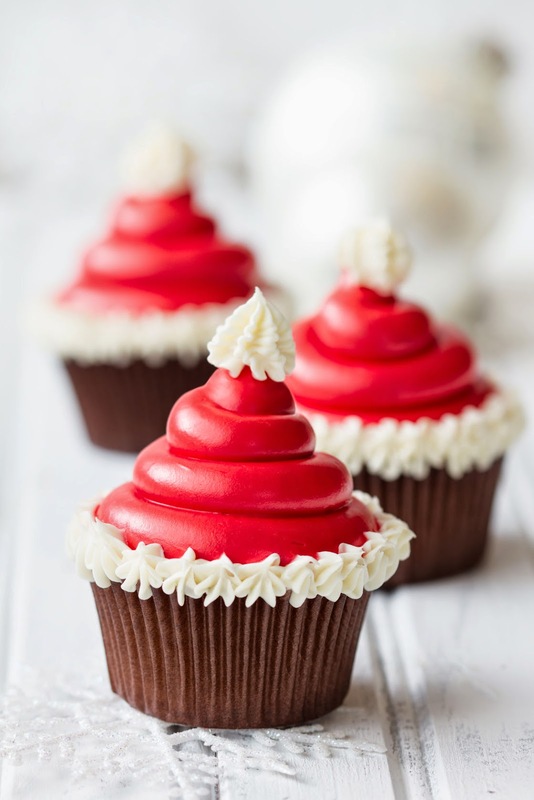 So below we’ve thrown together a list of absolutely delicious Christmas cupcake ideas that’ll make your holiday merrier. Have a look. 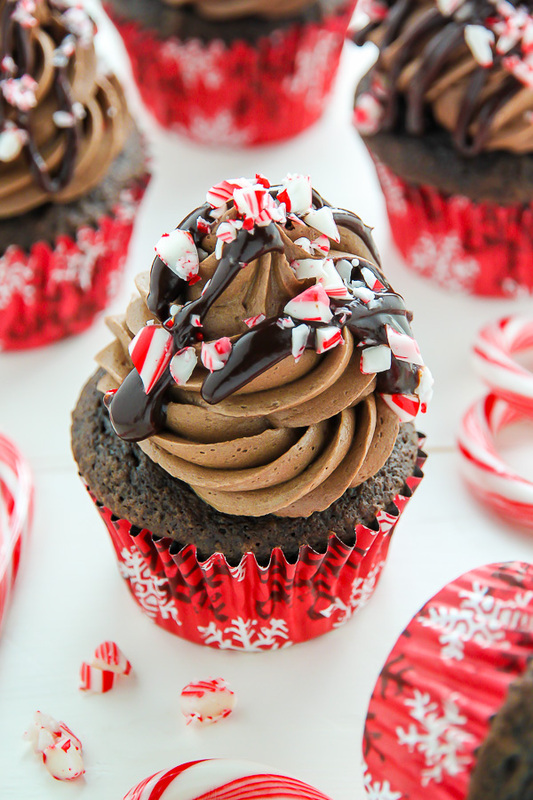 This peppermint mocha chocolate cupcake from bakerbynature.com is festive in the truest sense. It’s moist, decadent and is topped with peppermint mocha frosting. The crushed candy canes are adding a perfect touch. 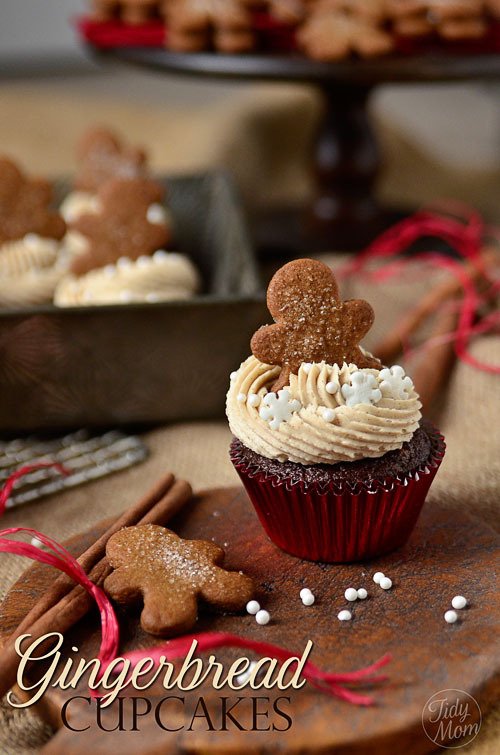 Here’s the recipe for moist, delicious and spicy gingerbread cupcake from tidymom.net balanced beautifully with brown sugar frosting. It will trigger the festive spirit in the house. 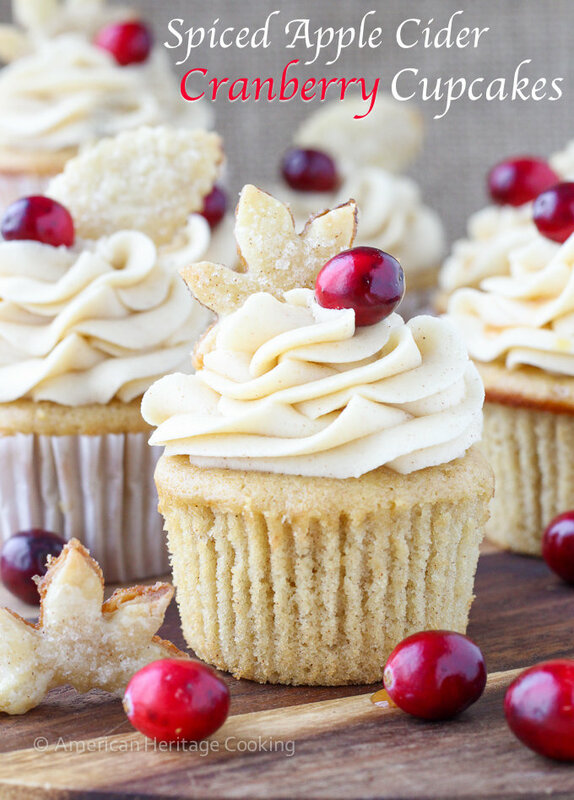 This soft and melt in mouth cupcake is filled with yummy cranberry cider sauce and is topped with cinnamon, cream cheese frosting. The pie crust leaves and cranberry are another icing on the cake. The recipe is available at americanheritagecooking.com. Christmas is incomplete without eating roasted marshmallows during the chilly midnights. 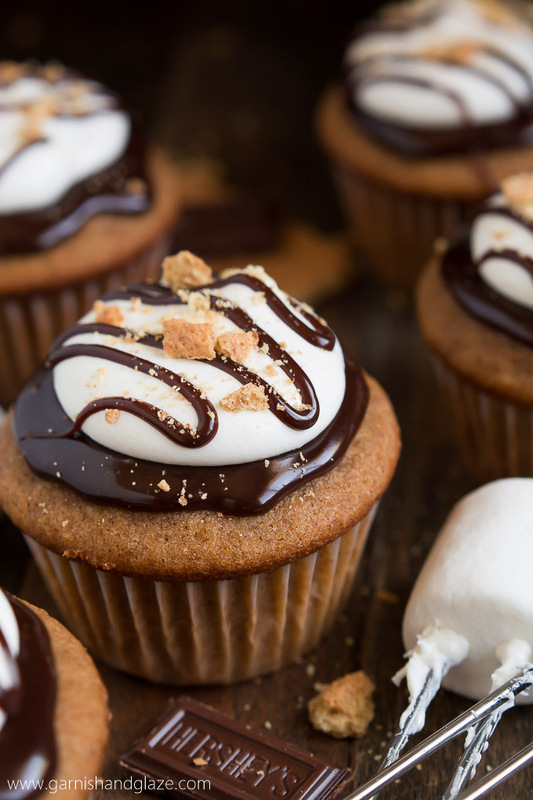 But this time, instead of roasting marshmallows, turn them into cupcakes. The recipe is available at garnishandglaze.com. 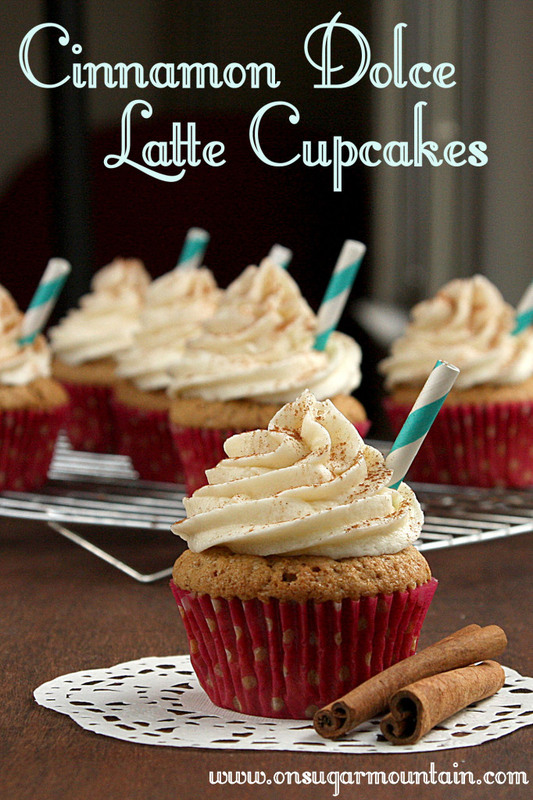 If you want to give your cupcakes a flavor of Starbucks latte, whip up this gingerbread latte cupcake recipe from bakersroyale.com. A sweet and spicy cake is topped with cream cheese frosting. Alright, friends, we’re salivating here already. 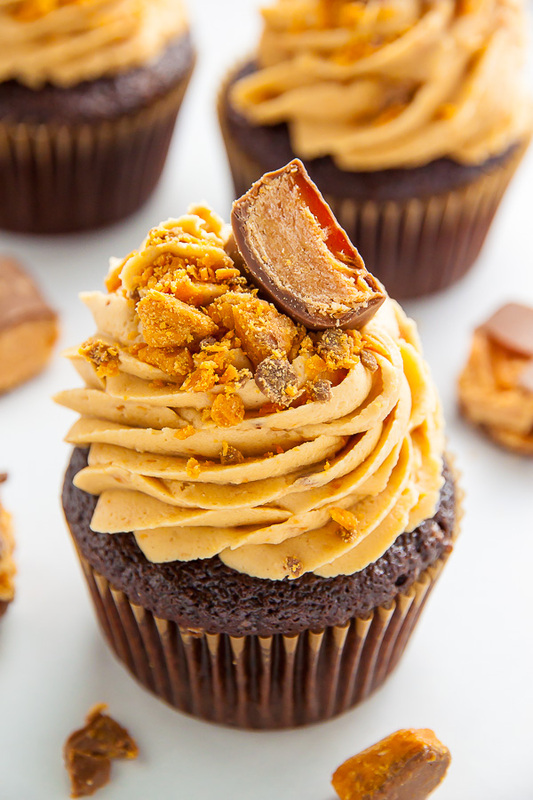 These moist cupcakes are topped with peanut butter Butterfinger frostings. Take a peek into the recipes at bakerbynature.com. Chocolate and cherries, a combination made in heavens. So how about using them in the cupcakes this Christmas. For a complete recipe, check out bakedbyanintrovert.com. 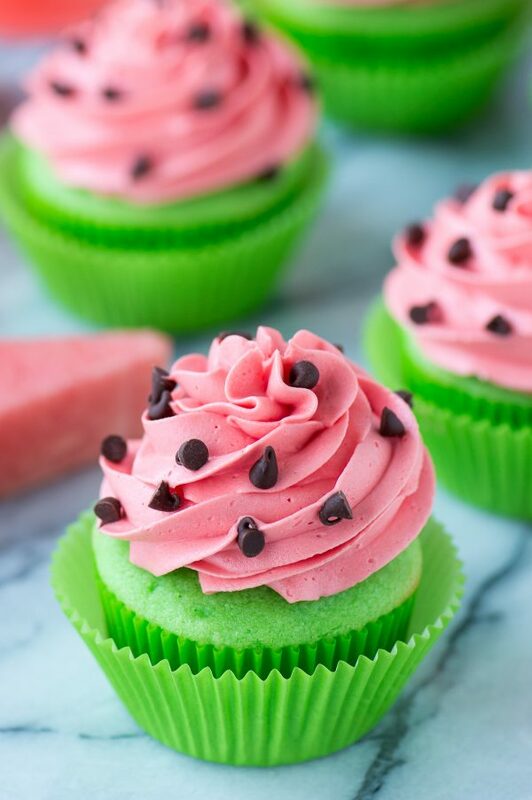 These cupcakes look so fresh and beautiful that we couldn’t stop sharing it with our readers. If you experience summer during Christmas, this is your perfect bet. The recipe can be found at thefirstyearblog.com. 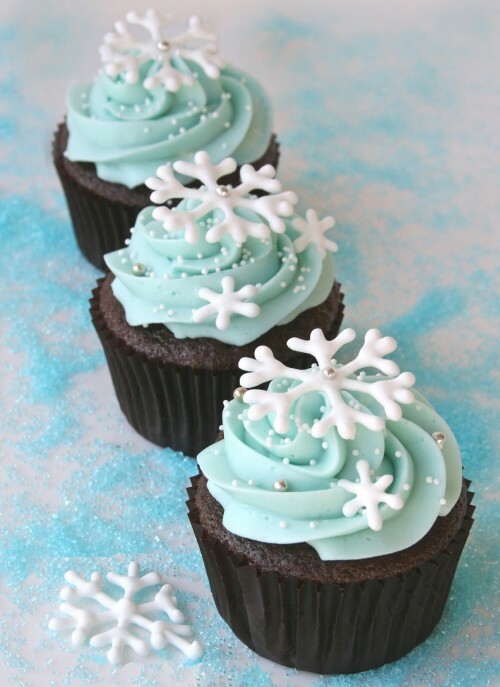 How can Christmas be complete without making the quintessential snowflake cupcakes? 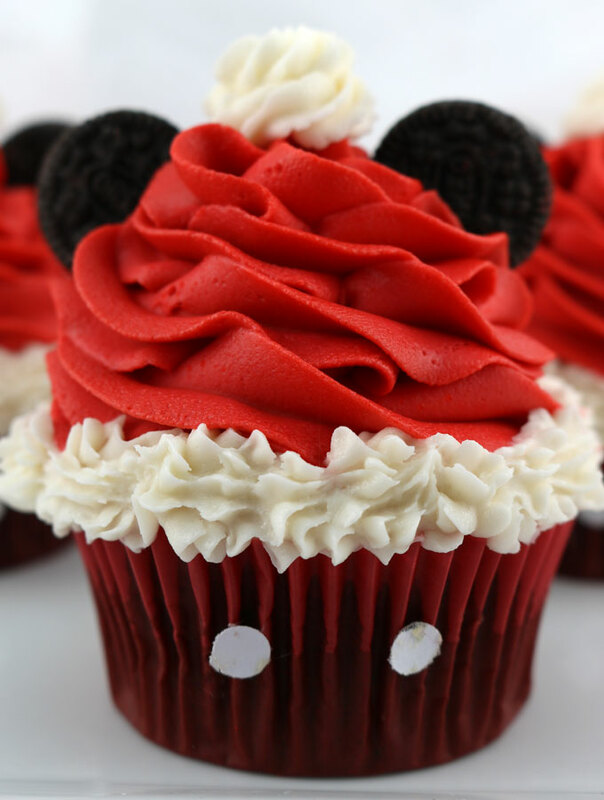 The recipe of this super famous cupcake can be found at glorioustreats.com. 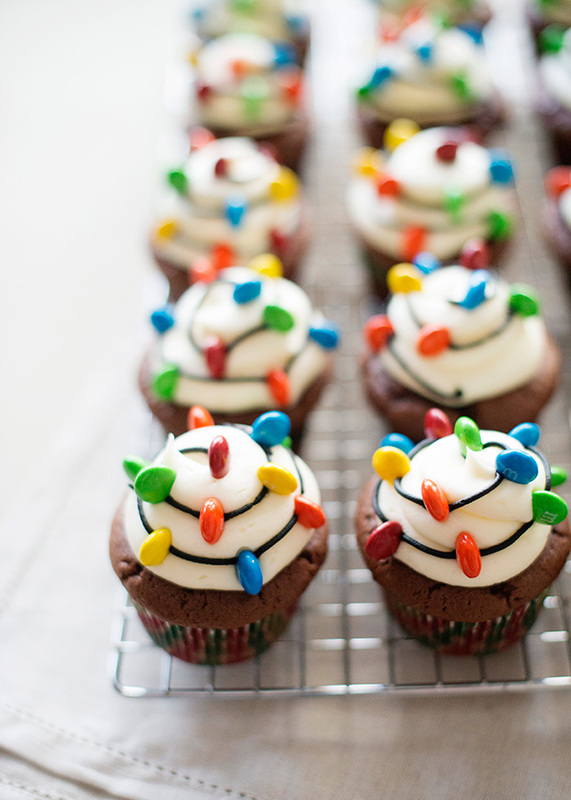 These Christmas light cupcakes are embellished to make them appear like draped Christmas lights. You can use it for gifting as well. The recipe is available at bakedbree.com. Mickey has dressed up as Santa Claus to wish all his fans a very happy Christmas. The icing and decoration of this cake have been done very intelligently. 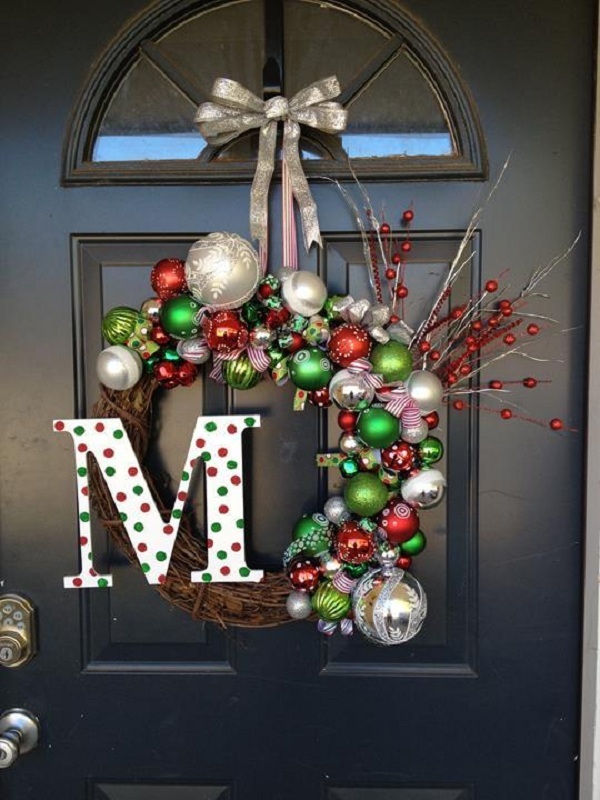 Kudos to the blogger from twosisterscrafting.com. 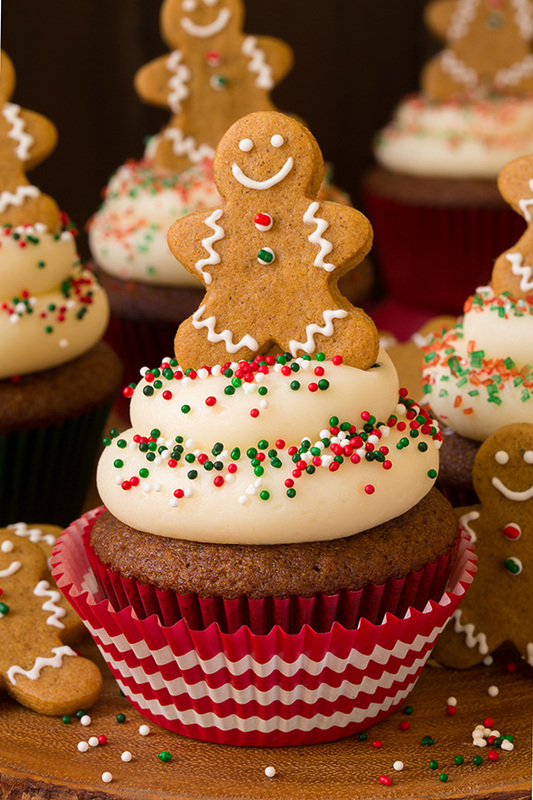 Another cute gingerbread cupcake and even this one is equally beautiful. This one’s taken from cookingclassy.com. 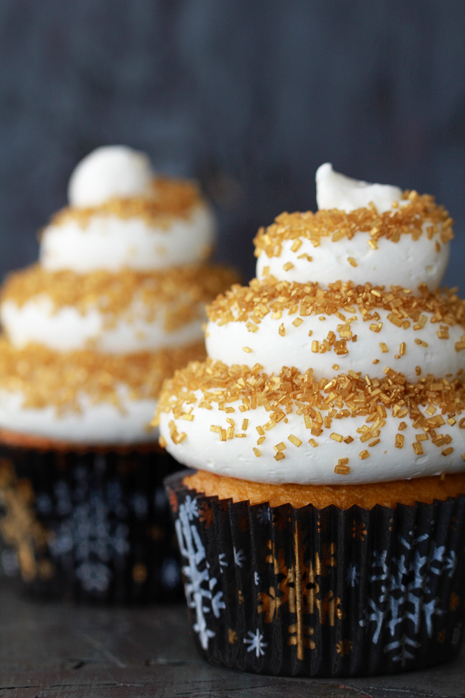 The cream cheese frosting will make you lick your fingers. 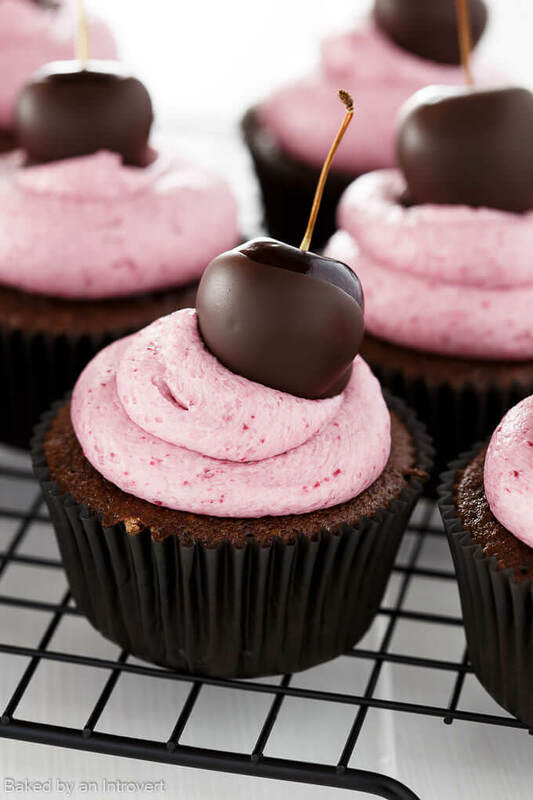 You won’t even believe how easy these cupcakes from ourminifamily.com are to make. In fact, they look so amazing, that your friends and family members will beg you for the recipe. 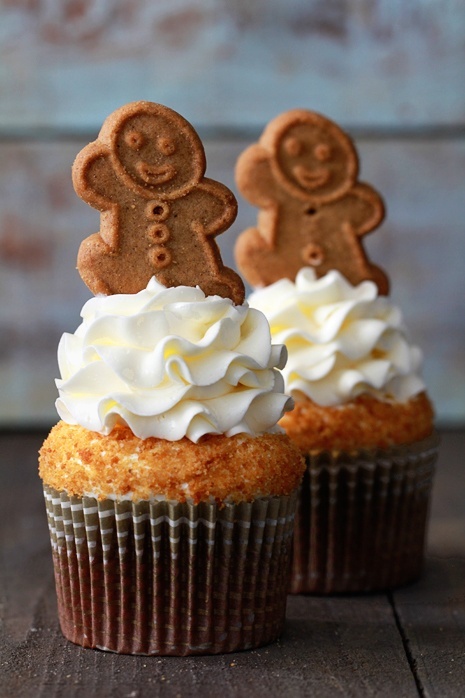 These eggnog cupcakes from bakersroyale.com is soft, moist and super flavorful. The frosting with sprinkles are adding a perfect festive touch. 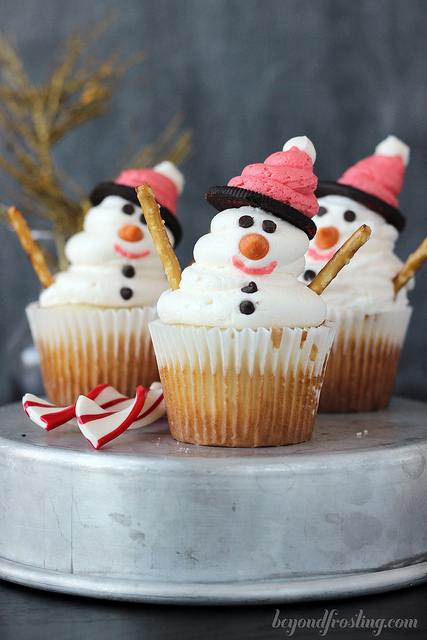 Make your Christmas merrier by making this gorgeous lemon cupcake with buttercream frosting. 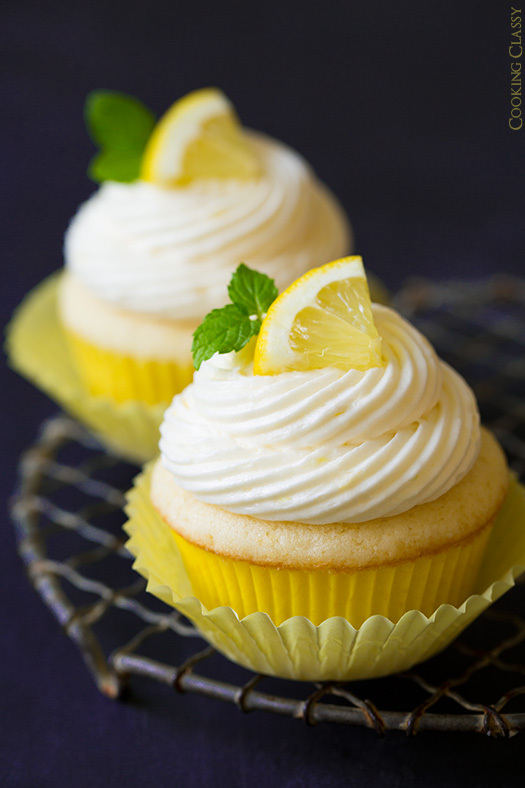 Do not forget to decorate the cupcake with a tiny piece of lemon and mint leaves. Get instructions at cookingclassy.com. This cake is cuteness personified. 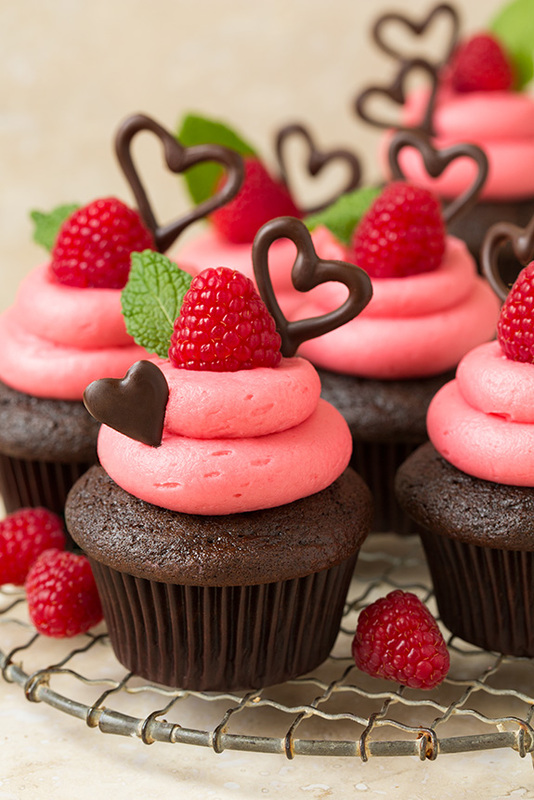 The tiny raspberries, the way the frosting has been put, everything has been done very tastefully. And we’re sure it will taste amazing too. Get the recipe at cookingclassy.com. 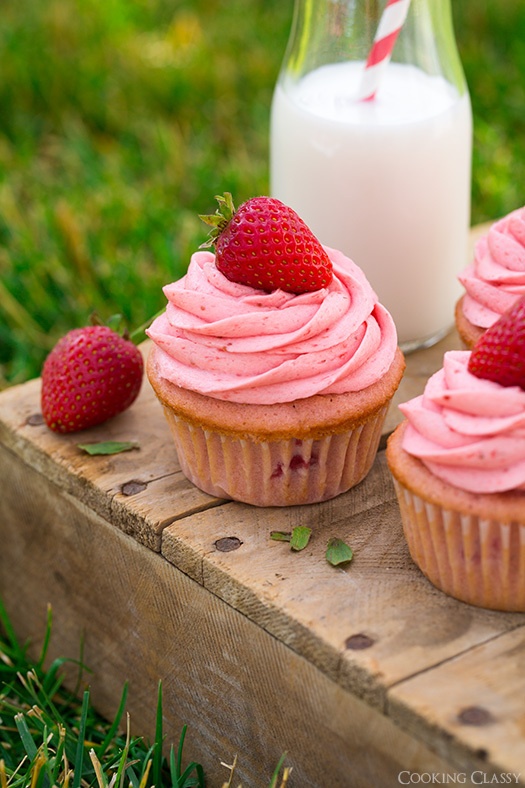 If you’re a fan of strawberry cupcakes, we’d highly recommend this strawberry cupcake recipe from cookingclassy.com. 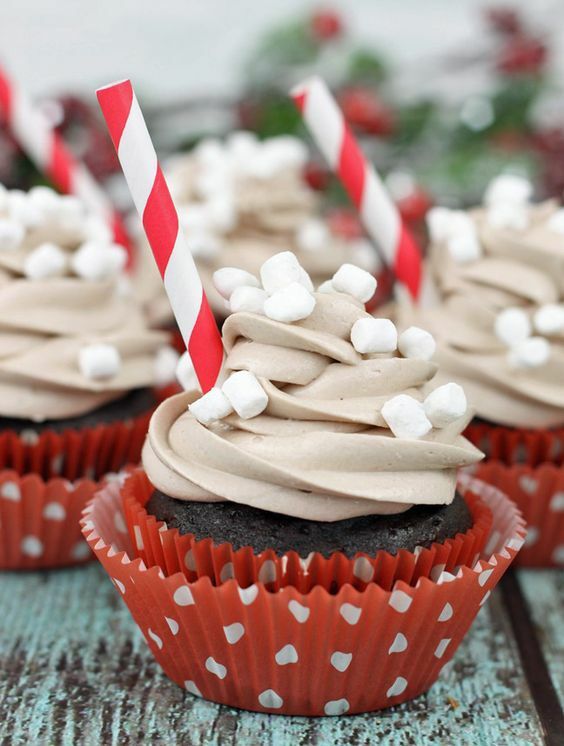 If your children are huge fans of hot cocoa and want one every day, give them a break by making this hot cocoa cupcake from momtastic.com. Good lord! 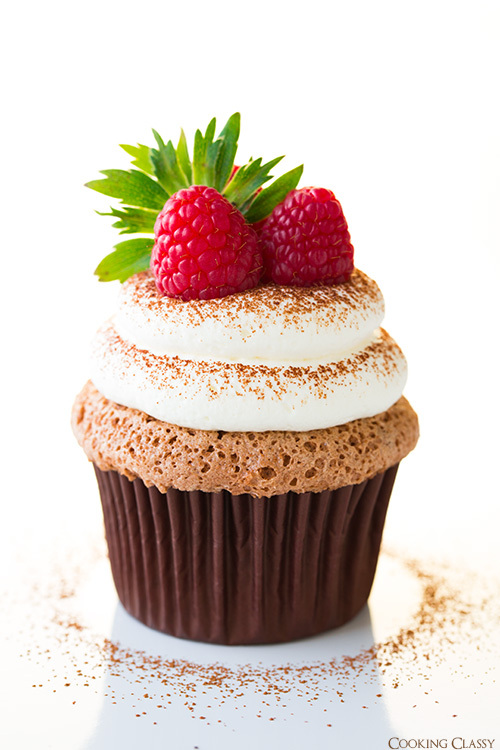 Even the most calorie conscious people will find hard to resist themselves from eating this absolutely magnificent cupcake from dinneratthezoo.com. We bet no one in your friends would make these Boston cream cupcakes from lifeloveandsugar.com. 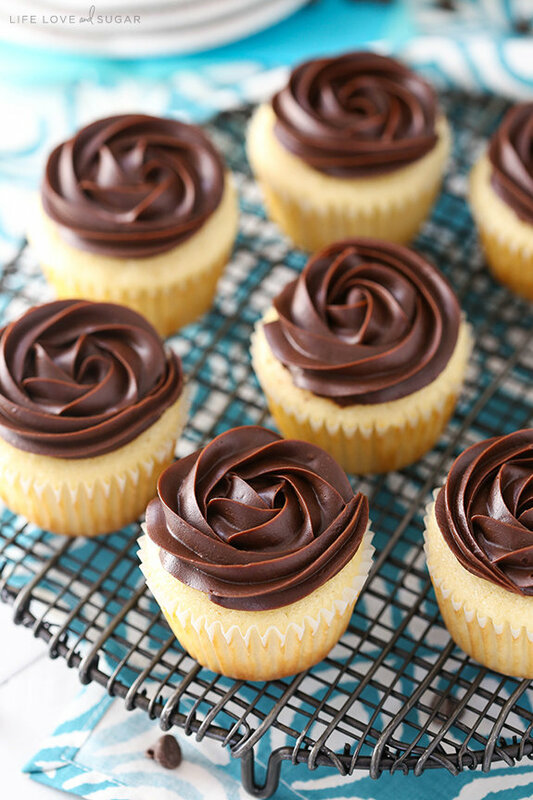 Moist vanilla cupcakes are filled with pastry filling and topped with chocolate ganache. The winner in all ways. 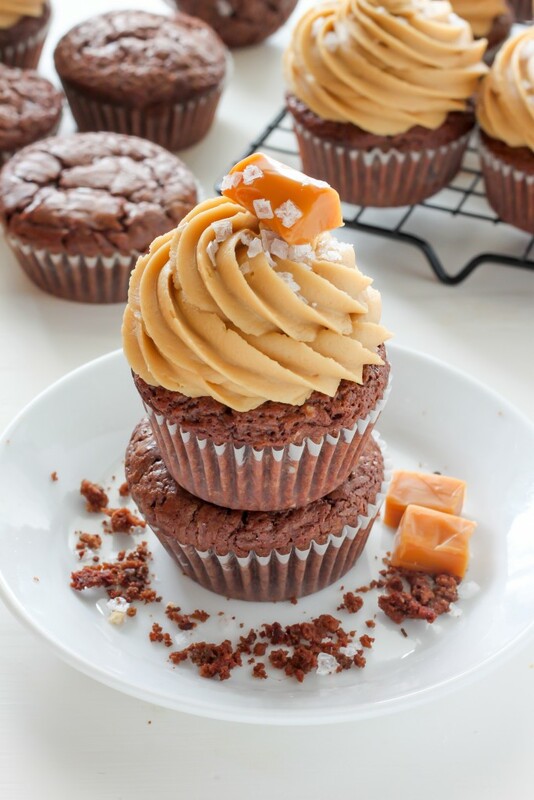 In this recipe from bakerbynature.com, rich dark chocolate brownie cupcakes are topped with absolutely amazing salted caramel frosting. A stunning combination. 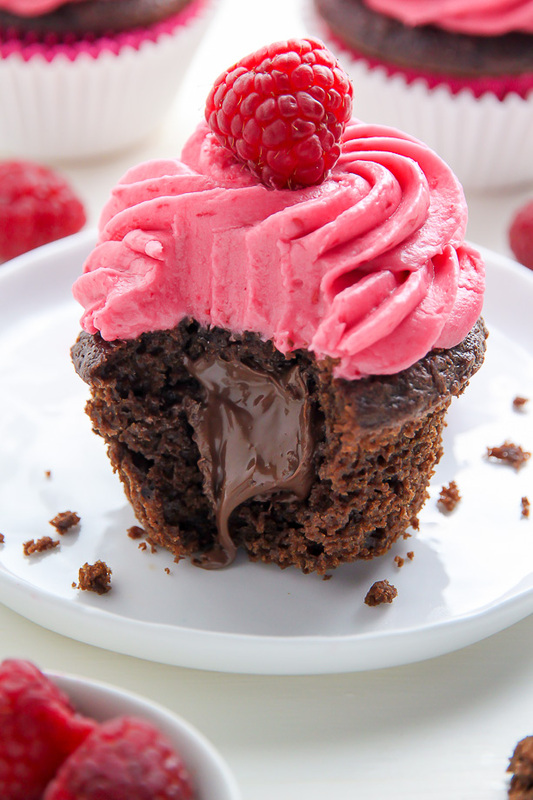 This cupcake from cookingclassy.com has such fun colors! And it doesn’t just look beautiful. It tastes amazing as well. Try it to see it. One of the most innovative cupcakes we’ve seen in a long time. Apart from looking beautiful, these cupcakes by yourcupofcake.com are incredibly easy to make too. I personally love cordials. The way liquid cherry oozes out of chocolate make me transport into heaven. 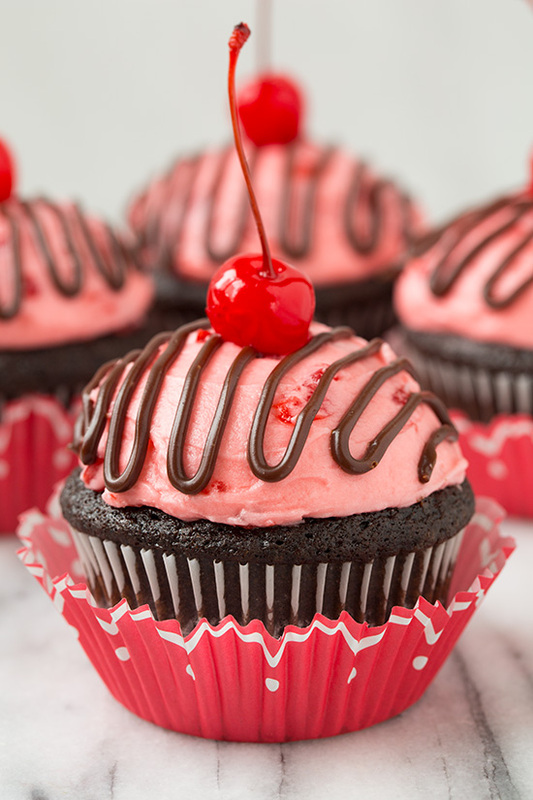 What if you make the same for cupcakes as well? Cookingclassy.com will help you make it. 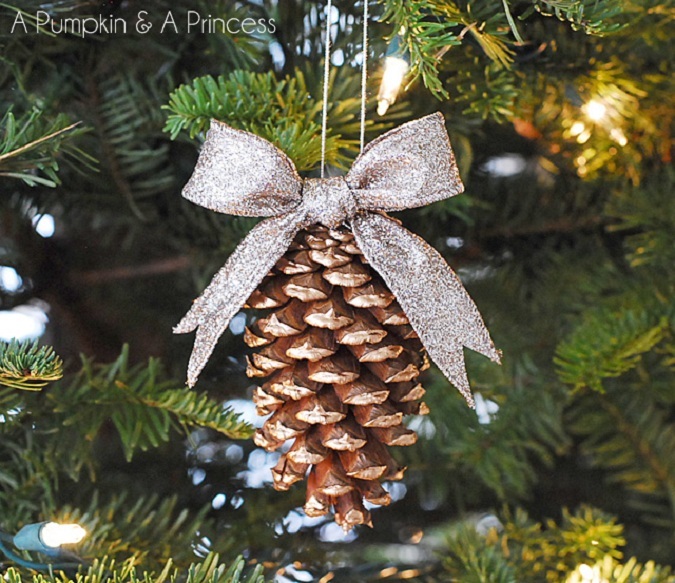 An excellent activity for kids to try out this Christmas. And instead of a pink hat, you can make it red too. Get the detailed instructions at beyondfrosting.com. How can Christmas be incomplete without a Christmas tree? 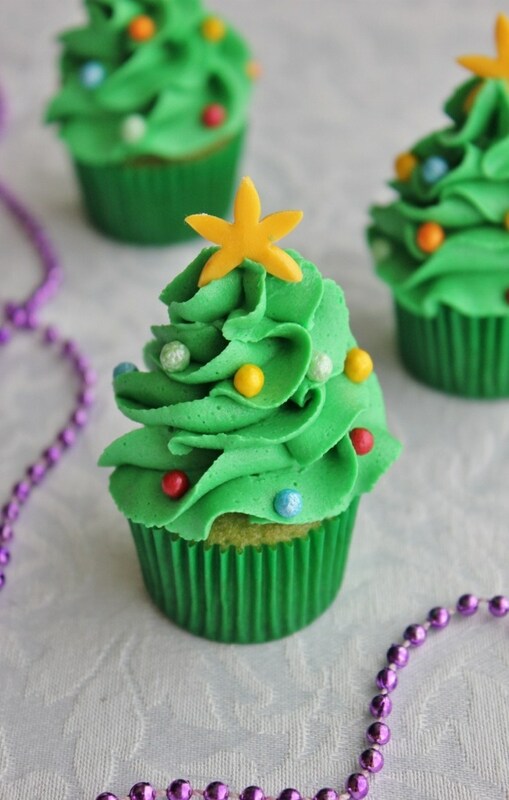 So here’s a beautiful and flavorful Christmas tree cupcake for you. The recipe is available at nzgirl.co.nz. When you have Santa Claus, how can his favorite reindeer, Rudolf be far behind? So whip us these beautiful cupcakes from yourcupofcake.com for the little ones in your house. 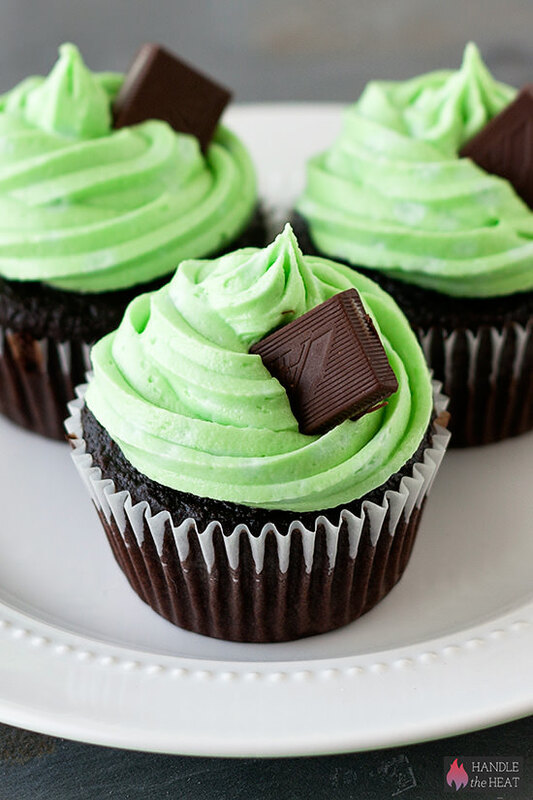 Chocolate and mint is an excellent combination, right? Both are combined in this amazing recipe from handletheheat.com.